Do you have a home security system? If you do and you aren’t using SimpliSafe I can almost guarantee that you are paying too much. There are way too many problems with the traditional players in the home security industry. So first, here’s a list of the the most maddening practices of many home alarm monitoring companies (then we’ll get to the solution). Contracts. Most home alarm monitoring companies will make you sign a contract for the honor (sarcasm intended) of doing business with them. Some have even unwittingly duped consumers into signing contract terms of 3 years or longer! And the worst part is that some of these companies insert even worse things into the fine print of these contracts. “Zombie contracts” has become the term of choice for perpetuating terms that are nearly impossible to opt out of. I really hope you aren’t in one of these as it is incredibly difficult to kick them to the curb. They keep you locked in at painfully high monthly service rates with almost no hope of ever leaving.You seriously almost need to hire a lawyer to get rid of these creeps. So never sign a contract. Never. Expensive systems. This is actually a double edged sword. You’ll get screwed either way its sliced. Many home alarm companies charge a lot to put a system into your home and the equipment isn’t cheap either. Sometimes it is even a proprietary system (think ADT) that won’t allow you to switch providers without having to resort to purchasing all new equipment from your next provider! And if the company doesn’t charge a lot for equipment and installation they’ll roll it into the cost of monitoring. That means greatly inflated monthly costs. It’s basically a lose/lose situation. High monthly fees. Most major home monitoring companies have rates that start in the $30 a month range and can shoot even higher than that pretty quickly. 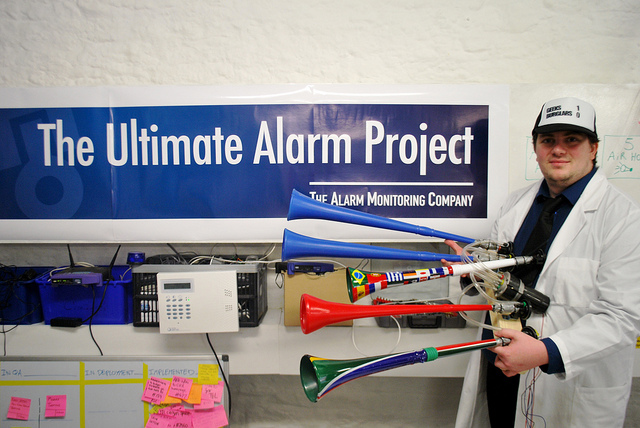 Some people pay upwards of $600 a year for alarm monitoring at their home. I cringe at that thought. Landline monitoring. It’s a thing of the past. But many home alarm companies quote rates based on you having a landline in your home. If you have cut the local phone at your home (and you probably should) then the rates will jump up for their cellular or wireless monitoring packages. So that advertised rate of $18 a month suddenly becomes $30+ when you tell them you don’t have a landline. I know I’ve just painted a bleak picture of the industry. There are some decent local services out there providing home alarm monitoring. There are some that won’t make you sign a contract and won’t hit you over the head with ridiculous fees. Those are not the majority though and many people sign up with either the largest companies that charge the most or the companies with the pressure tactics and awful business practices. That is why my recommendation has been and continues to be SimpliSafe. They are bar none the best value for home alarm monitoring out there. The cost? $15 a month for cellular monitoring. No landline needed. SimpliSafe is using modern technology to monitor your home which cuts down on your incurred costs. You buy your own equipment and install it at your home yourself. It takes about 15 minutes and the equipment cost is very low. 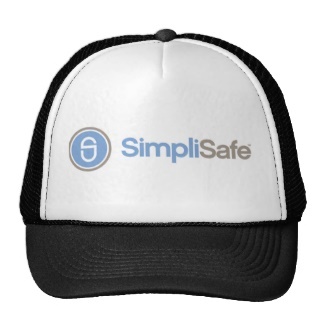 SimpliSafe isn’t taking you to the cleaners for the system you are purchasing. You can also move equipment from home to home easily. This gives you incredible flexibility. You can also buy refurbished systems on their site to save even more money. Basically, if you want the whole package, go with SimpliSafe. They are the best and cheapest home security system. There’s a low upfront cost to you. The flexibility is fantastic. The monthly price is the lowest I’ve ever heard of. Oh, and the customer service is awesome too! Disclaimer: I am a customer of SimpliSafe. I am writing this only because I actually use them and really enjoy their service. I have been paid nothing for this post and have received nothing free because of it. I just love SimpliSafe! I wholeheartedly agree. SimpliSafe is the best home monitoring company out there – period. We’ve been with them for over a year now and their customer service is among the very best of any company I’ve ever dealt with. It’s always nice to be able to speak directly to a person and not have to go through a million prompts. They are always incredibly responsive and courteous via e-mail. And on top of that their product and price are both unbeatable. Killer combination. Great, informative article. I have a co-worker that was recently speaking about home security systems. I will definitely pass this along. Awesome. Thanks James! I hope they like saving money and awesome customer service. Yep. In fact, they were checking out the Simpli Safe site earlier today. Thanks. Simplisafe is a decent security system, my only hesitation with them is that they focus on self-monitoring, which can be a liability if you’re asleep and don’t react in time. Are you subscribing to their monitoring package as well, or are you self-monitoring? I use their monitoring and LOVE it. Both smoke and break-in monitoring is only $14.99 a month. Their customer service is top notch, their price is super cheap, and the response time is super quick. How do I know? I accidentally set it off and couldn’t be reached by SimpliSafe (my fault, not theirs), and 2 police cruisers were at my driveway in 4 minutes flat. I haven’t seen where they advertise using their system just as an alarm with no monitoring. I would agree, SimpliSafe is one of the more affordable home security providers available today. The downfall is that if you want any interactive features with your smartphone or computer the cost goes up. This feature is a nice one to have too. Have you had any scares of break-ins while using SimpliSafe? Just curious about how things played out for you.